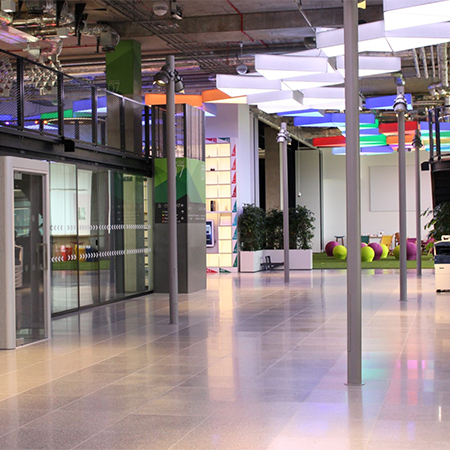 AET Flexible Space recently supplied a bespoke underfloor air conditioning system to the Plexal innovation centre at Here East, Queen Elizabeth Olympic Park. 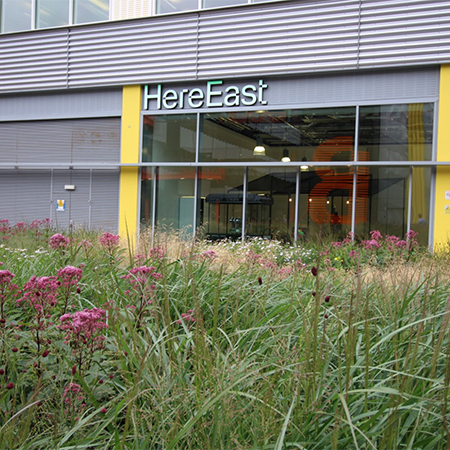 The Here East project announced in 2013 involved transforming the former Olympic Press and Broadcast spaces into Europe’s biggest technology hub. 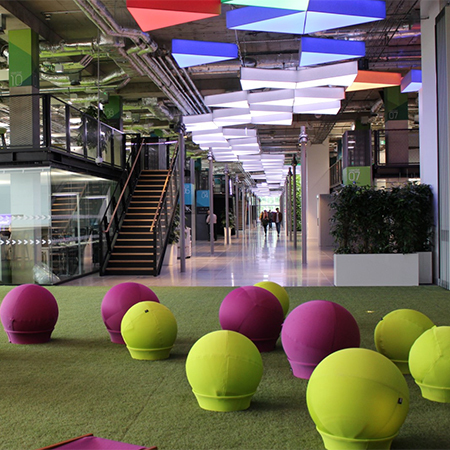 Plexal’s vision was to create new space at the East London campus for technology companies, universities, start-ups and creatives, and AET Flexible Space are delighted to have contributed to this visionary development. 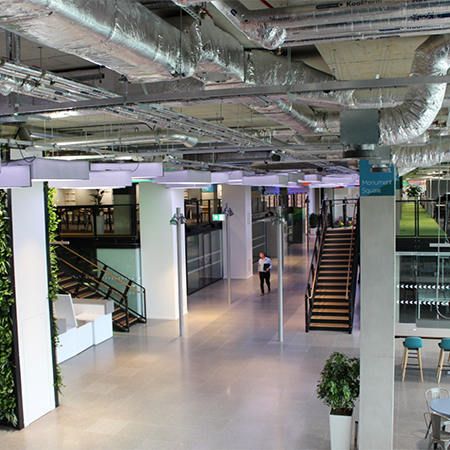 Working closely with M&E consultant, Cundall and M&E contractor, McDowall’s Air Conditioning, AET Flexible Space have supplied and commissioned a total of 13 downflow units (CAM-V) and 146 slimline TUS-EC Fantiles to the new 50,000 ft2 workspace located on the ground floor, and on an additional mezzanine level of the former Olympic Press Centre building. 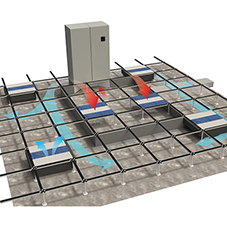 The CAM-V system introduces conditioned air into the 190mm depth plenum beneath the raised access floor, and is then introduced into the space via the fan terminal unit (Fantile). 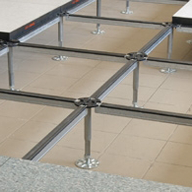 The Fantile replaces a standard 600mm x 600mm floor tile and is therefore easily interchangeable. The CAM-V unit receives used air back at high level for re-conditioning. This configuration is ideally suited to the “hangar” style building and enables a flexible offering for future reconfiguration of the space as no division of the plenum into supply and return air plena is required.